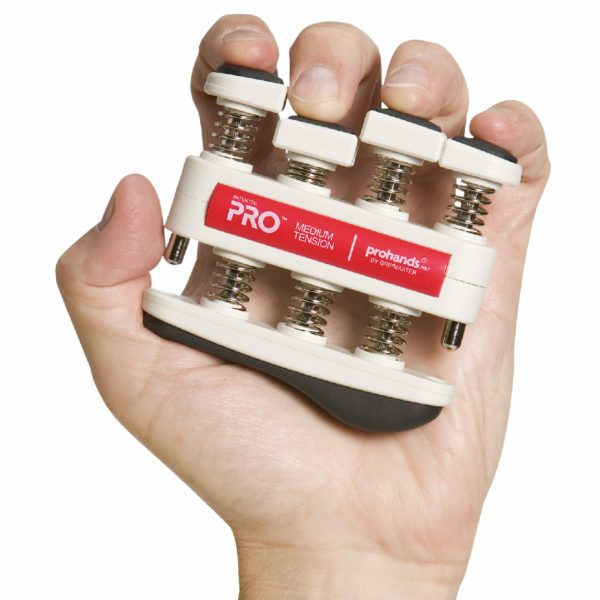 Prohands PRO expands on the ingenious design of Gripmaster providing serious athletes with the most advanced hand exerciser in the world. Prohands PRO expands on the ingenious design of Gripmaster providing serious athletes with the most advanced hand exerciser in the world. The PRO features a larger profile, superior steel springs that resist wear, an integrated ergonomic palm bar for comfort.